Nice! Does it come in black? Oh! This needs to happen! It'll never happen, but damn do I want one. echt geile Vision die du hier zeigst. schon mal daran gedacht deine 3D-StudioMax Grafik in einen 3D-Drucker zu stecken und daraus Realität werden zu lassen? es ist zwar Fraglich ob Atari da mit machen würde aber Abnehmer finden sich mit Sicherheit viele und ich währe einer davon. Da würde z.b. die Hardware meines 11" Schenker XMG A120 gut rein passen. abundzu denk ich schonmal daran bzw an ähnliche Scenarios. Allerdings, wenn man sich anschaut wie die ganzen Neuauflagen vom Amiga sich entwickelt haben, können einem da schon Zweifel kommen ob das wirklich gut ankommen würde. Ausserdem wurde die Marke Atari auch grad wieder verkauft soweit ich weiß. Ich hab leider wenig Hoffnung das sich das noch irgendwas entwickelt. Am ehesten realistisch wäre es meiner Meinung nach noch, die Marke Atari zu benutzen um eine Reihe Gamer Keyboards zu entwickeln... Ähnlich wie Razor. So eines würde ich mir dann auch holen. btw. In den meisten 3d Druckern kann man nur sehr kleine Objekte ausdrucken. I remember the Atari vs Amiga battle . I had an Amiga, but this is really cool. If it was real, I'd buy it! I find this to be AWESOME! 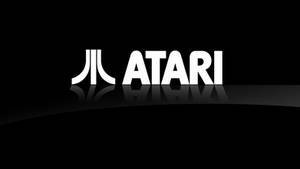 Its a shame Atari went bankrupt in 2013. 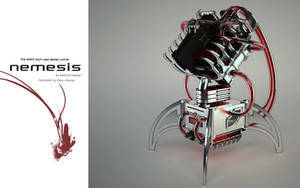 This is amazing , great render and cool concept. wish it was real! This is amazing great render and such a cool concept. 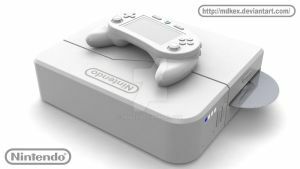 I only wish it was for real, it reminds me of the falcon 040, a version of the Atari falcon that never got made sadly. That is grate looking. To bad import Atari stopped making hardware long ago. GREAT! the best computer with the best design. So sad that Lightwave is a 3d software, I was thinking that your atari was real! It's not really the same if the specs are exactly like an X86 PC. Oh YEAH! I like it, I want Atari come back! Beautiful design! Omg it's beautiful! I want it so baaaad! Excellent!!! So cool!! I want one!! WoW .... love it ! Intel Core2Quad?? 1 ghz? rotfl? The other thing is that the general case shape looks like a mix between the Amiga and the Atari, if the back area was not that low compared to the original Atari then it could contain the PSU block, else like on the Amiga you need an external PSU. And the ventilation grid was not shaped like ///////// it was rectangular like |///////|. The old logo had a perfectly rectangular middle bar, and the two side bars are slimmer at the top: [link] it was supposed to be a stylized representation of the mount Fuji volcano (with possibly the central bar being the lava conduct?). Your ability to capture realism is amazing!! Great work! The typo kills it for me. It's Blu-ray not Blueray. I know it's nit-picky, but I work in home theater so it stands out to me. what's that stuff at the top above the keyboard?